There is undoubtedly going to be a great deal on your mind as you shop around for a used car. 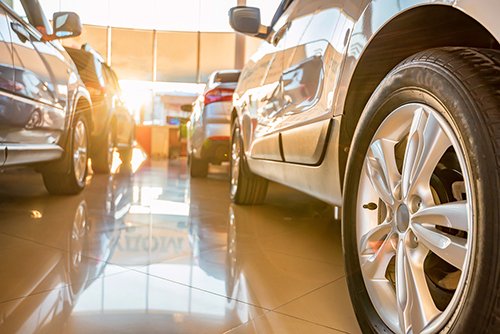 When you know that you are going to need to finance, it is a good idea to have a dealership that you can trust when it comes to both pricing and financing. You should never be afraid of used auto financing in Coral Hills or working with a dealership that has all of the inventory and customer service you could ask for. It goes without saying that buying used is going to allow you to enjoy substantial savings. While you may think that buying brand new is the only way that you can get your hands on some of the latest technology and safety features, there are plenty of used models on the dealership lots today that are packed to the roof racks with the best of everything. It is all a matter of shopping around until you find the ultimate package that includes the comfort, performance, style, features, and safety that you desire all at a price you can afford. When you visit us at Expert Auto, our staff will be happy to listen to all of your needs and wants in a vehicle. From there, we can sit down with you to discuss financing to help you find the right deal that works best for your budget. We will take care of all of the details with you and our finance team is more than willing to go into all of the fine print to make sure you are going into your used auto purchase with all of the information you need. You should never be afraid when looking for used auto financing. Working with the right dealership will make all the difference in the world and our staff at Expert Auto is available to ensure you have a wonderful financing experience. We would love to see you for a test drive today! You do have options when it comes to used auto financing in Coral Hills. Call us today at Expert Auto at (866) 429-0970 and we can discuss your ability to finance a vehicle that you love at our full-service used car dealership.